How To Reset a WordPress Blog - Erase Everything In a Click! Do you need to reset a WordPress blog and erase everything on it? In this post, we will show you the step by step guide to do it. Last day, one of our users asked for a simple method to clear the WordPress database. If you are looking for the same, this post will be helpful for you. When Do You Need To Clear WP Database? Do You Need To Keep The Plugin Forever? If you are shifting your blogging category one to another, you need to erase your current blog content and add new content. You know that deleting posts, pages and comments one by one will take so much time and it’s a bit frustrating. Well, we have found a WordPress plugin which will help you to reset the WordPress installation in just a click! You can see that I have 10 posts, 37 pages and 9 comments on the blog. I need to erase everything and start over. 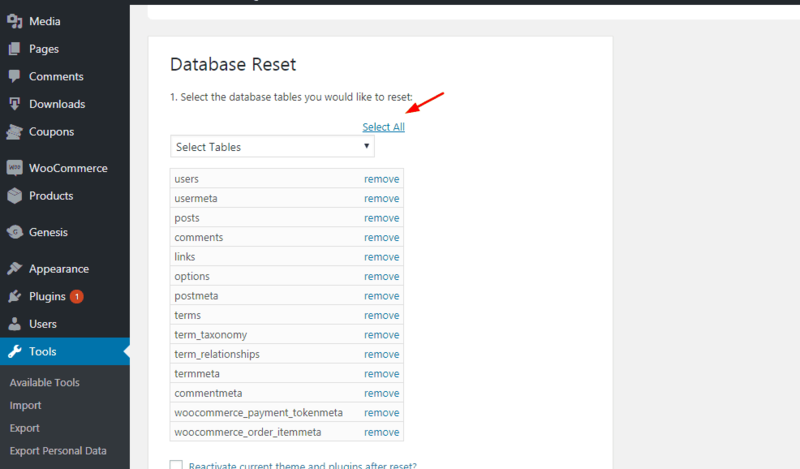 For that, go to add new plugins section and install WordPress Database Reset plugin. After installing, you need to activate it. After installing, you can find the plugin settings under tools. 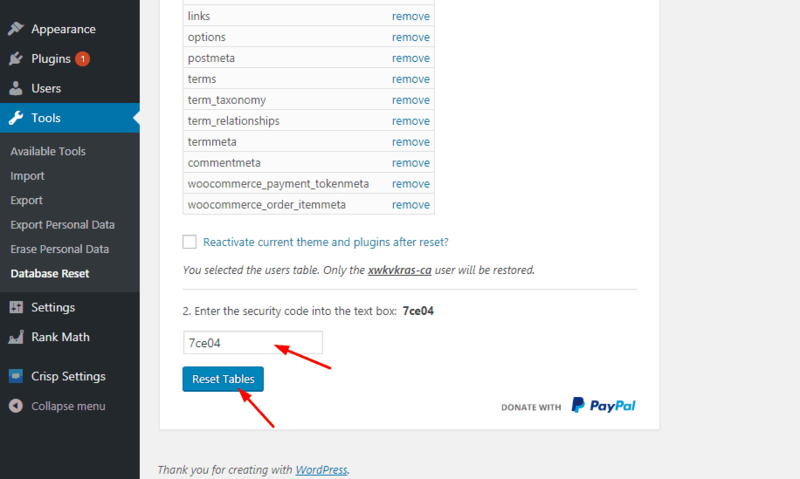 For erasing the entire blog, you need to select all the tables. Enter the security code on the box and click on reset. You will be logged out automatically. Now, you need to log back into WordPress. On the dashboard, you can see that all your posts, pages and comments are gone erased. You will be reverted to the default WordPress theme. All your WordPress plugins will become deactivated. You need to activate them one by one. NOTE: Using this plugin will erase everything on the blog. If you need to restore it to the previous state, you must consider generating a complete backup before resetting the database. No! You can deactivate and delete the plugin from your blog after resetting the database. No issues. We hope you found this post useful and learne how can you reset a WordPress blog. If you did, please consider sharing this post with your friends and fellow bloggers. For more, you need to check out our blog section. As a related post, we also recommend reading our post on how to change WordPress theme name.